The energy-water nexus is gaining traction with diverse stakeholders around the world and it is becoming increasingly clear that we cannot plan for our planet’s future if we do not consider energy and water together. 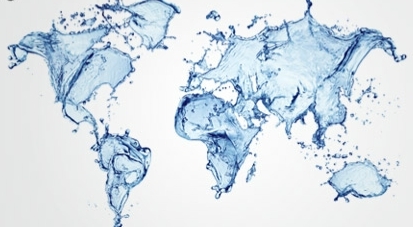 Most recently, the United Nations celebrated World Water Day, launching a yearlong effort to highlight the global energy-water nexus, the chosen theme for 2014. In honor of World Water Day, the International Energy Agency (IEA) released its annual World Energy Outlook report, the first analysis of its kind to look at the impacts of water scarcity on the global energy sector. This signals a big step in the global understanding of the importance of the energy-water nexus, and reveals important insights on how regions, nations, and industries must cope with less water in a changing climate. The IEA focuses on energy, so it makes sense for them to look at the inextricable link between water and power generation, as water will continue to present a challenge to energy management throughout all regions of the world. In its analysis, IEA looked at several different scenarios for power generation out to 2035, including a New Policies Scenario. This scenario takes into account the commitments and plans various countries have stated regarding their energy use, including policies to reduce greenhouse gas emissions from electricity generation. Naturally, the biggest water users for energy production are also the world’s largest electricity generators: the United States, the European Union, China, and India. All four regions/countries have power plants to meet their populations’ energy demands, but water plays a big role in ensuring those countries can continue providing enough electricity. For instance, IEA notes that a delayed monsoon season in 2012 led to blackouts in India that lasted two days and impacted more than 600 million people, and a 2011 drought in China reduced hydropower generation, leading to increased demand for coal, which forced electricity rationing and worsened air quality. Looking at the US in particular, we have an interesting challenge: the general water situation in the country is not dire (yet), but it is severely constrained in the western half of the country. Yet the energy-water nexus crisis is not just relegated to the water-stressed West. During the 2008 Southeastern drought as well as the 2012 drought that pummeled the Midwest, we saw shutdowns and near shutdowns of nuclear power plants in states like Alabama, North Carolina, and Illinois. Additionally, the Southeast, California, and the Pacific Northwest (like many regions in the world) are struggling to provide hydropower in the midst of droughts. And let’s not forget the ongoing fight of the Tri-State Water Wars between Alabama, Georgia, and Florida over distribution of increasingly scarce water for many uses, including power. All of this adds up to a very uncertain future for the conventional use of water in global energy production. And yet for international entities like the UN and the IEA considering the full-spectrum of global resource challenges and opportunities, the energy-water nexus is just the tip of the iceberg. Energy and water are fundamentally intertwined, but the linkages of these two vital resources also greatly impact the food sector. More and more we hear about the energy-water-food nexus and how we are going to manage growing populations and the demands on all three resources. Plus, when we take into account the global impacts from climate change, we’re looking at some big challenges – but also some incredible opportunities. We need a systematic approach to solve the interconnected issues that link energy, water, food, and climate change. Earlier this month, 300 delegates from 33 countries convened in Chapel Hill, North Carolina to talk about how these four issues intersect, and submitted a declaration to the Secretary General of the United Nations to figure out how to meet sustainable development goals. The basic premise of all the findings and recommendations centered around the fact that Earth and the communities that live upon it are part of a system. By approaching these massive problems from an integrated standpoint, we begin to solve problems in a more systematic way, uncovering efficiencies that cross sectors—like lowering the water intensity of our power choices and improving crop irrigation through smart electricity meters. The solutions exist. We just have to put our heads together to find them. And as more stakeholders from different sectors and parts of the world understand this, we will begin to tackle this challenge together. 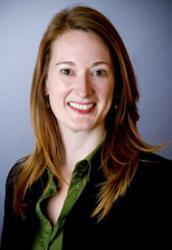 This entry was posted in Clean Energy, Climate, Energy Efficiency, Energy-Water Nexus, Texas. Bookmark the permalink. Both comments and trackbacks are currently closed.